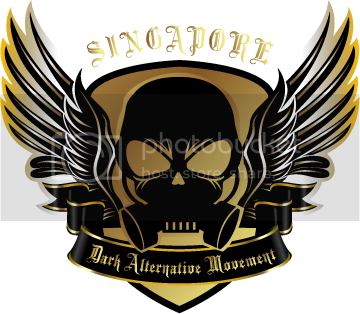 So it's official that the Singapore Dark Alternative Movement (SDAM) didn't only change their logo but went for a complete virtual overhaul and redid a new website for their upcoming events and articles regarding the dark alternative/goth scene in Singapore. If you're unfamiliar with what SDAM does and what they are, I will give a small synopsis of what they do. SDAM ,basically, is a community of people with an interest in dark arts, music and literature. They will organise events that welcome people with similar interests to come together and hang out at several pubs and clubs while basking in the glitches and thumps of Industrial/EBM throughout the night. For more on what they specialise in and what they did for the dark alternative scene in the past, click on their swanky new logo. And the another update to top up the whole week of new sites is the new Metal Horde Singapore website. 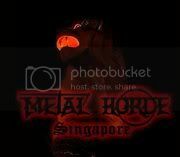 Metal Horde Singapore (MHS), as many of you would've already derived from the name, these group of individuals handles the Singapore Metal Scene (as well as international Metal) news and music reviews. Click on the image to get your dosage of sweet, melodic brutality. 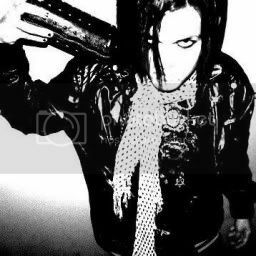 Upon further investigation, I've found out that the current main man of SDAM is also helping out with Metal Horde Singapore on top of his involvement in SDAM. So if you're interested in finding out more about him and all the other projects that he might have dipped his finger in, visit his personal website at http://dalsixvisser.com. The RSS feeds of the aforementioned websites have been added to the right sidebar named "Links", so you can just click on that tab and you can view what has been recently updated on those sites. So that's about it for now, check back for more reviews and news and long periods of nothing in between reviews and I would like to apologise for the awkward colour scheme and background to the site, I'll get to it soon.